I’ve touched on the idea of tonal crush in a few posts here and there, but it occurs to me that I’ve never stopped to fully explain the concept – or its implications for modeling. Tonal crush is, at its most basic, the apparent loss of tonal variation within a certain color, when placed alongside contrasting colors. The tones are literally crushed together, so that a color looks more monochromatic. To explain why this happens, it helps to come in through a side entrance. A few years ago, High Dynamic Range – or HDR – processing became something of a rage. Nowadays its gone thoroughly mainstream, and even pops up in phone cameras, but I find that few people are aware of the principles that underpin HDR processing. Simply put, there is a thing called dynamic range. Dynamic range refers to the range of brightness that a sensor can “see”. The human eye, as a sensor, can see about twenty or so “stops” – changes in brightness – at a time. We’re amazingly good at being able to discern details in areas of brightness and areas of shadow simultaneously. Camera sensors, on the other hand, see far fewer stops. About half as many. This is why it’s difficult to capture photos that mimic what we see. If you’ve ever shot a picture with a perfectly exposed landscape and a white, overexposed sky, you’ve found the limitations in your camera’s dynamic range. If you’ve ever taken a portrait only to have your subject backlit against a blue sky, you’ve also found the limitations in your camera’s dynamic range. What you see here are the three original images that were combined through HDR processing into the final composite image. An image that comes closer to what our eyes really see. You can find more examples HERE. And This Relates to Color How? Okay. So a camera sensor can only “see” a certain range of brightness. The rest gets “crushed” into either highlight or shadow. That may be green, but it’s green with character, damnit. It’s green that has lived a life. But when highly contrasting colors next to it, something happens. Now the camera (and your eyes, too), has to ingest a much bigger range of color information. There’s green. But there’s also white and those vibrant reds. The contrast “crushes” the tonal variation in the green, making it look monochrome. 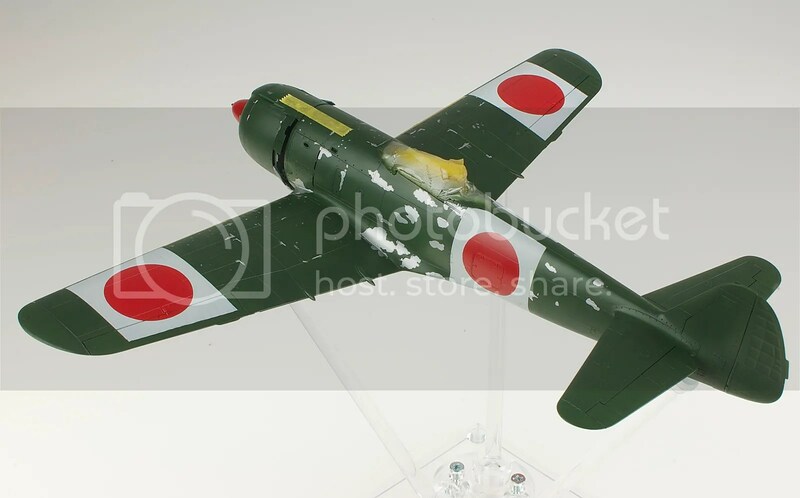 With the Ki-84 above, it took several weathering tricks to bring it back…accentuating the tones in the green, breaking up the surface with panel line accents, and toning down the hinomarus and home defense squares. But this tonal crush is something to watch out for on any project with highly contrasting colors. So How Do You Fight “Tonal Crush”? As GI Joe cartoons taught me growing up, knowing is half the battle. Seriously. Just knowing the color scheme you’re going for before you start throwing paint around, and adapting in advance, is going to make a huge difference. 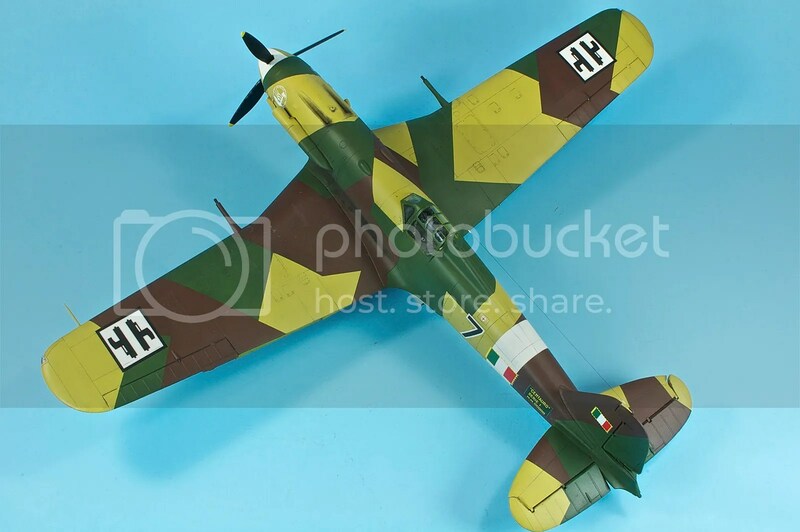 If you’re going to have a busy, contrasty camo scheme going on, consider being more exaggerated with the shading and variation. Consider mixing a blend of the camo colors and spraying it on top of everything as a very light filter, since tying the colors together, even slightly, will help reduce tonal crush. 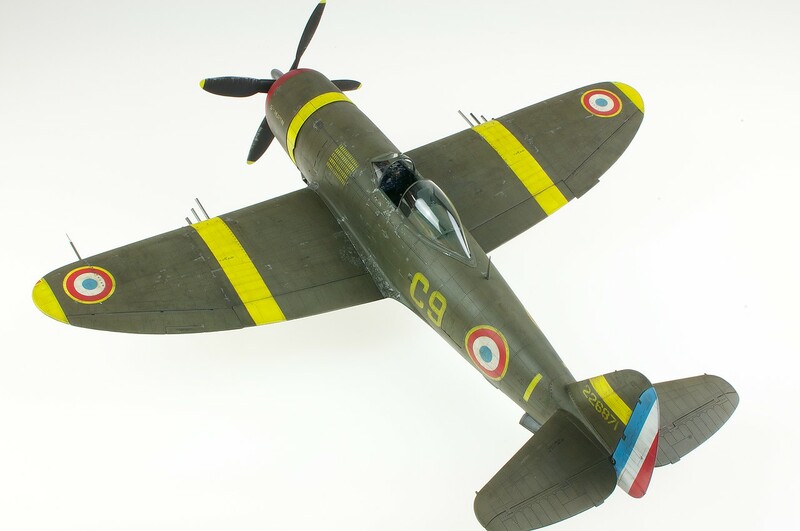 Case in point – I knew going in that my French P-47 would be facing tonal crush from the red cowl, yellow bands and French roundels. 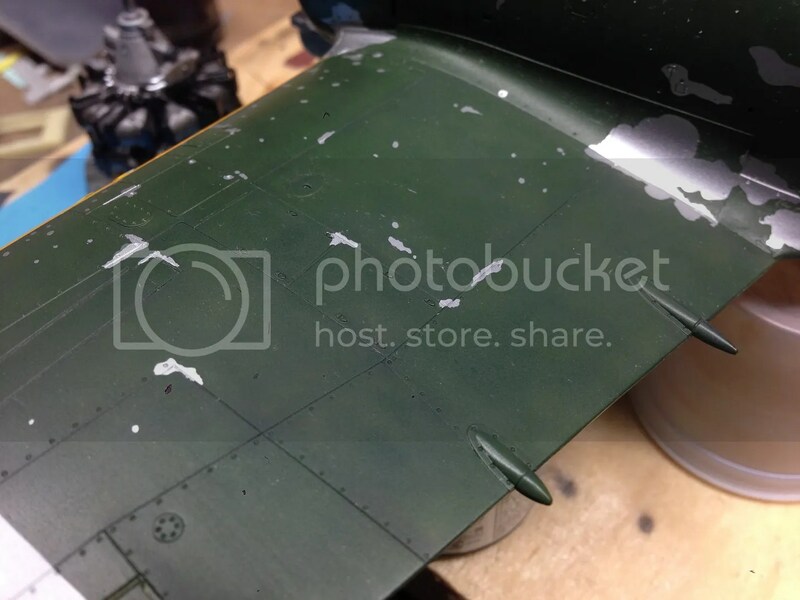 So I put extra effort varying up the Olive Drab…and it maintained its filthiness out the other side. If you’re facing off against high-viz markings, like say a US Navy jet from the 1960s, take that into account. If your gull gray and white look just a bit too dirty before you place the decals, it should look just right once the color party comes to visit. On the flip side, if you’re doing low-visibility gray, there’s really no tonal crush to worry about, so any shading and tonal work you do will show up rather well. In the end, this is just a little minor side curiosity of modeling – but I hope a few find it useful. 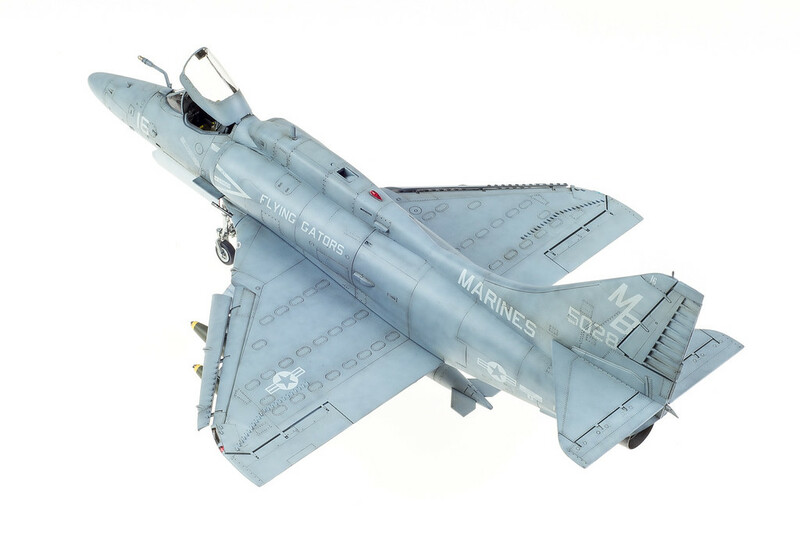 Excellent article featuring excellent models Matt. I wish I could paint like you! Well, now you have done it. added Another, variable I have to watch out for when I paint……..LOL, thanks. well done! Excellent explaination and examples. I must thank you for bringing this issue to my attention. I’ll have to find a way of incorporating this in my future work. This was really informative. Thanks for the explanation. 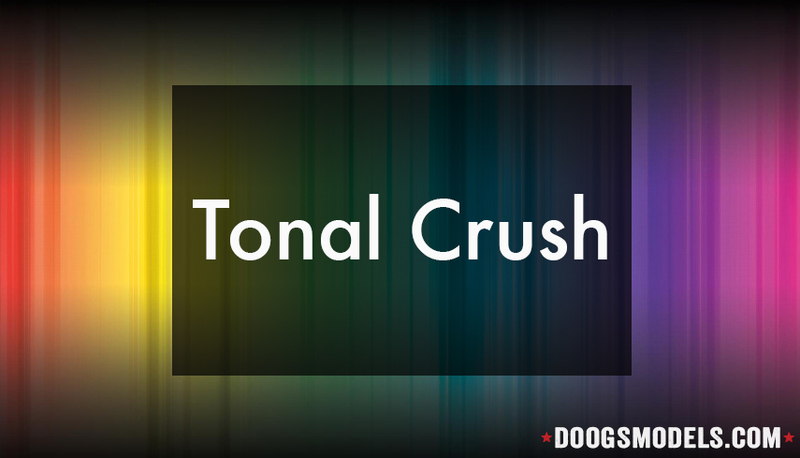 I’d noticed Tonal Crush happening, but didn’t know what it was all about. I can see the effect you describe, but I’ve never noticed it before. Did you coin the phrase “tonal crush”? Google doesn’t give any relevant results. Perhaps artists call it by a different name? I’m just trying to find out more info. I can swear I’d heard the term somewhere before writing this, but maybe I coined it? Very informative article , the question is how much more time is required to finish a model as opposed to just painting and decaling the model? 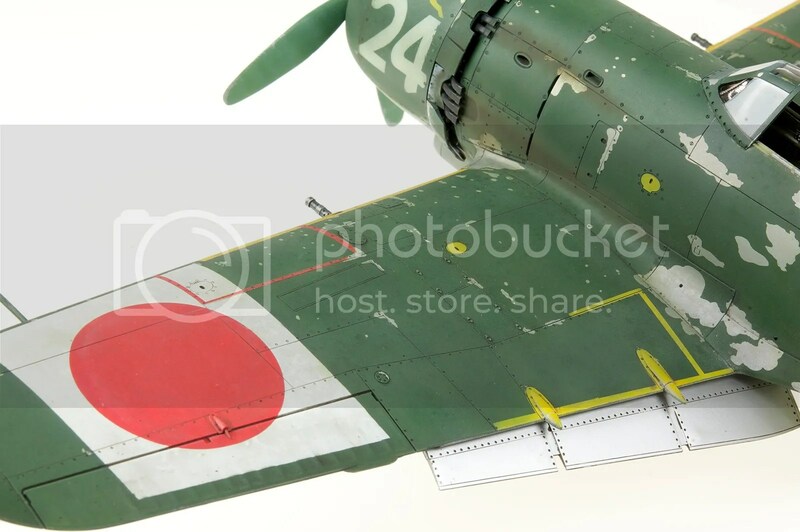 I have reserved my weathering as it is easy to creat a weathered finish in the painted surface but the decals look like they just got painted look, and this makes the tonal crush more intense and less realistic. 1 – Increase the local contrast. So if you’re painting over black, for example, stopping shy of what you think is just right. 2 – Decreasing overall “color” contrast. During painting this can be done by toning down the colors – tough to do with certain colors like red, though! But greens or browns for example can be lightened, perhaps have some kind of gray added to them to link them together more tonally. 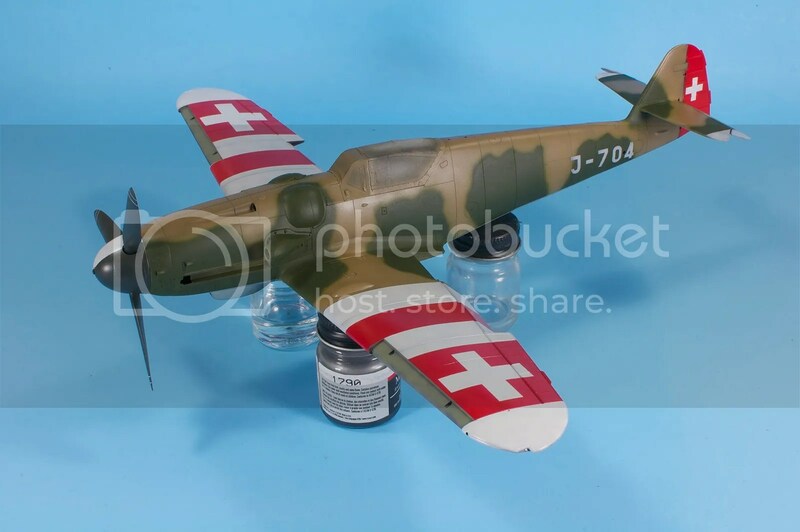 This can also be accomplished after paint + decals with filters. With that P-47 up above, the tonal crush was rather intense until I got into salt fading and dot filtering the entire thing. That had the effect of breaking up the strong reds and yellows and let the whole scheme come together more cohesively. Very interesting article. I understand the concept much better now. Well written. The best hour i have spent on the net about modelling.